Bedrock exposures in Terra Sabaea. Terra Sabaea extends from the Hellas impact basin to Utopia Planitia. It covers 4,700 kilometers at its broadest extent. 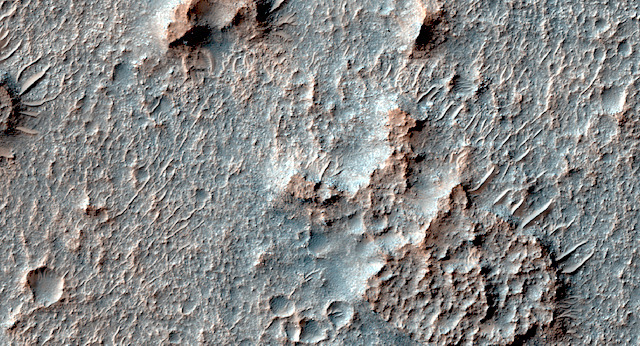 This entry was posted in Reports and tagged Beautiful Mars, bedrock, High Resolution Imaging Science Experiment, HiRISE, Mars Reconnaissance Orbiter, MRO, NASA, Terra Sabaea, University of Arizona. Bookmark the permalink.